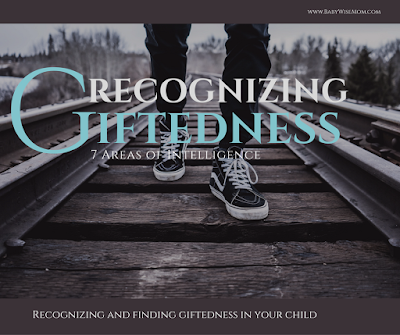 It can be hard for a parent to declare his/her own child “gifted.” We all think our child is basically the most amazing human to grace the Earth, correct? Surely no kidism was ever more entertaining than the one from our own child’s mouth. No first step was as impressive. No first wave bye-bye as charming. We naturally think our children are pretty amazing. Because of that, it is hard to look at our child without bias and decide if the child is gifted or not. If your child goes to school, you have the benefit of having teachers who are with children the same age as your child year after year. A teacher can more accurately clue you in to if your child is gifted or not. But even that can take years. Understandably, most schools will not declare a child gifted until around the third grade. Before that point, it is hard to differentiate gifted from well-nurtured. Even more often, you will just have teachers who don’t feel comfortable just coming out with it. I have noticed that older teachers are very comfortable telling you exactly where your child stands, while less-experienced teachers dance around the issue, if they broach it at all. I was not told by a teacher that Brayden was gifted until he was in third grade. At that point, the district had labeled him as such. But he also had a teacher who was one who would just tell you exactly how it was. What she told me was that she had not had a child that intelligent in all of her years of teaching. This is a teacher who is at retirement age. I was a bit surprised. I was surprised that I could have a child at that level and have his third grade teacher be the first to tell me so. Kaitlyn has also been labeled gifted by the district. I heard from teachers more with her in the younger grades. I think maybe since Brayden was they felt more comfortable saying yes, she is also gifted. Unfortunately in a school setting, they only focus on very small areas of giftedness. A common area in the elementary years is linguistically gifted. This is basically with the language arts. Sometimes, if you are lucky, mathematics will also be recognized on an elementary area, There are so many more areas of giftedness, however. Any gifted child, gifted in any area, will benefit from that being recognized and having parents and those close to them understand the strenghts and limitations that come with giftedness. For example, a gifted child is often lacking in social skills (see A Parent’s Guide to Gifted Children, page 7). As a parent, this is super helpful to understand! You have such an intelligent child who can’t seem to grasp basic social norms. There are better ways than others to help your child work through weaknesses. Conversely, there is such thing as having social giftedness. Some of these areas can be nurtured outside of the school setting. A musically gifted child can take music lessons. A kinesthetically gifted child can play a variety of sports. Others, like intrapersonal giftedness are rarely recognized at all. It is important to realize that all people have at least talents in some area. If a person isn’t the star atheltete, maybe she is very musically talented or gifted. The child who has excellent social skills might struggle with linguistics. 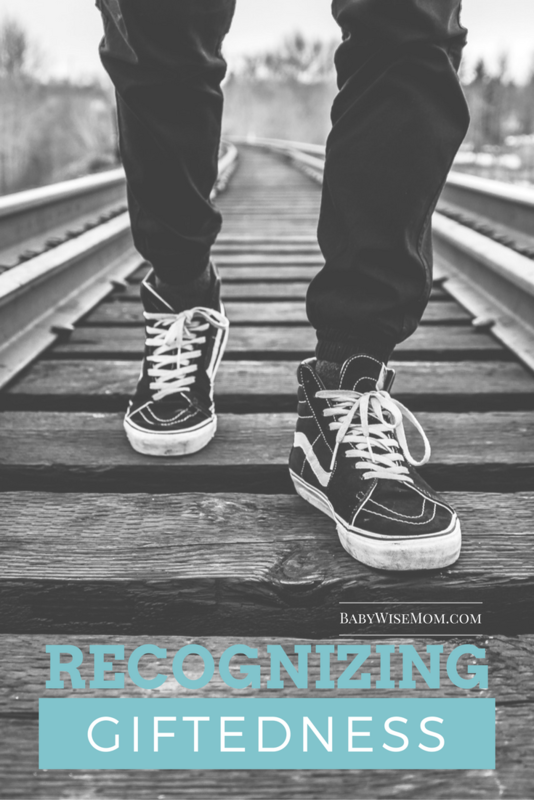 Recognize what your child is good at and nurture those talents to help them grow stronger. And all things can grow. Just because a child has poor natural social skills doesn’t mean you don’t teach that child to develop good social skills. All people can improve upon their weaknesses. And all strengths can be nurtured. Take a moment to evaluate how your child shows strength and talent. Nurture those areas of life. Help your child grow in his weak areas.